For fast and effective services which are guaranteed you can call any time! At Drains 24/7 we provide reliable services to all our clients, and maintain our reputation as reliable and professional drainage experts. 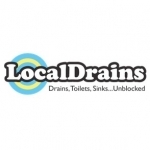 Drains 24/7 are a local company based in Birmingham covering all surrounding areas. Fast response and professionalism ensure your needs are met efficiently and effectively. For an Immediate response Call Us.Drainage problems can happen any time and almost definitely need immediate attention to prevent the fault from worsening.